We now offer Pakor high quality drylab photo paper. 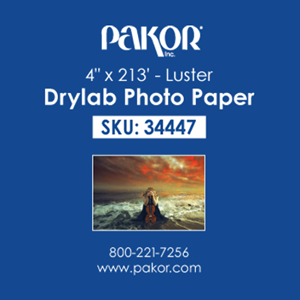 Designed for universal use in inkjet dry lab printers from manufacturers like Epson, Fujifilm, and Noritsu. Available in both Luster and Glossy, our premium dry lab paper costs less, but still gives you crisp images with vibrant colors. 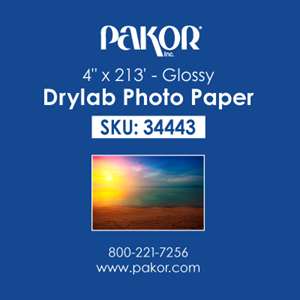 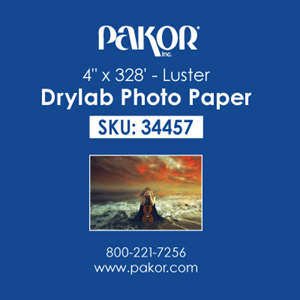 We think it's the best dry lab photo paper available today, and it's available only at Pakor!